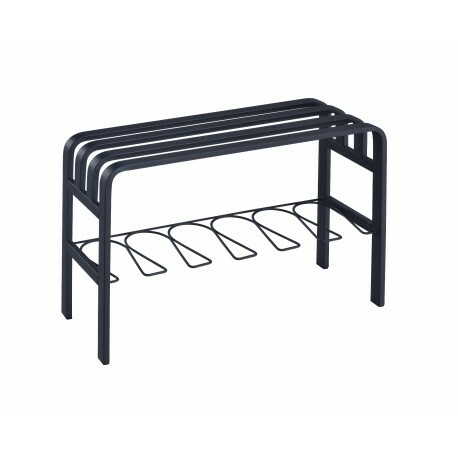 Feature2 Built with light and sturdy flat metal tubes which can hold a normal adult sitting on it. 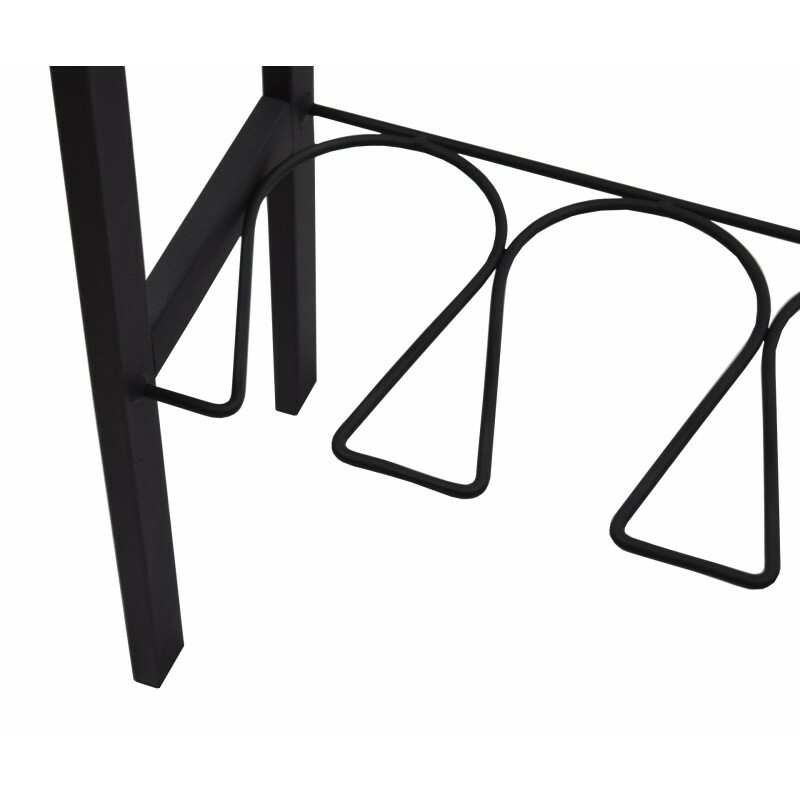 Feature3 The curve wire frame holds boot shaft straight up to maintain the style of the boot and can be used as a shoe rack. 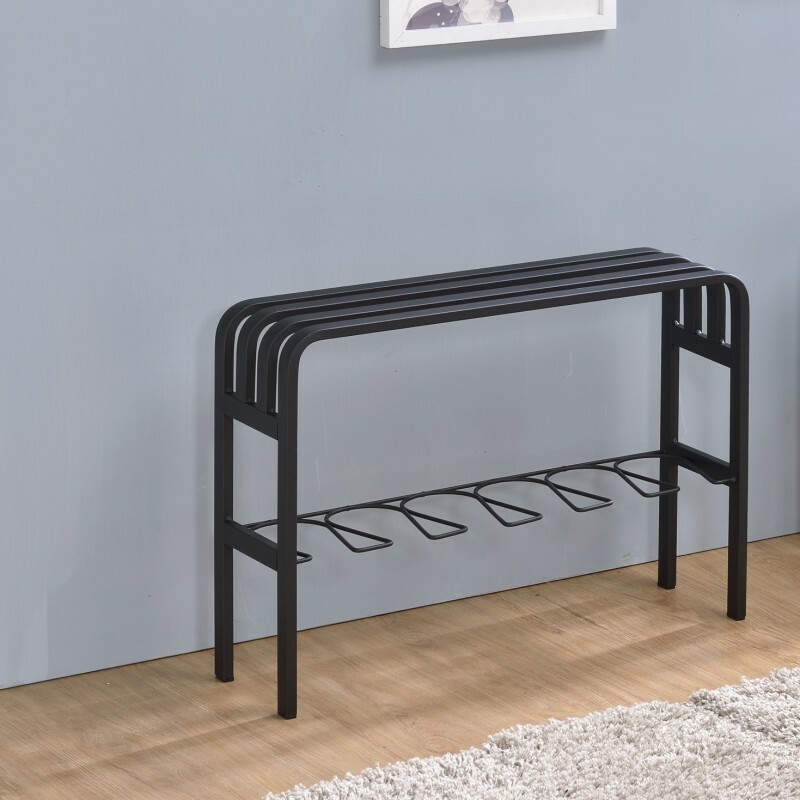 Feature4 The bench is so light to be moved around, save space, and can be a décor by the entrance, at home or small office. 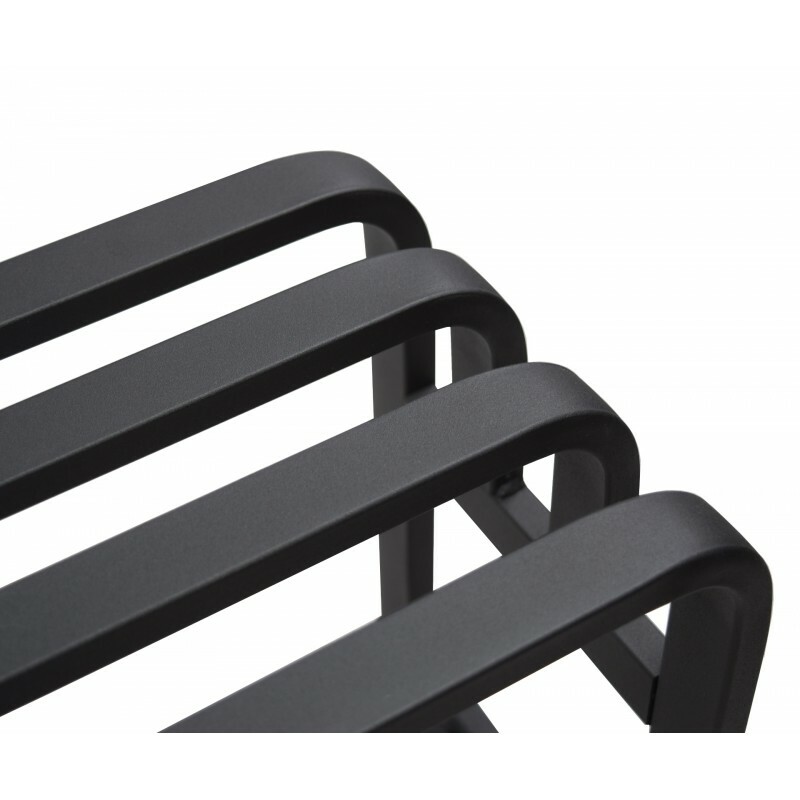 Feature5 Sleek powder coating black with sandblast texture on the metal bench gives a feeling of elegancy and strength. 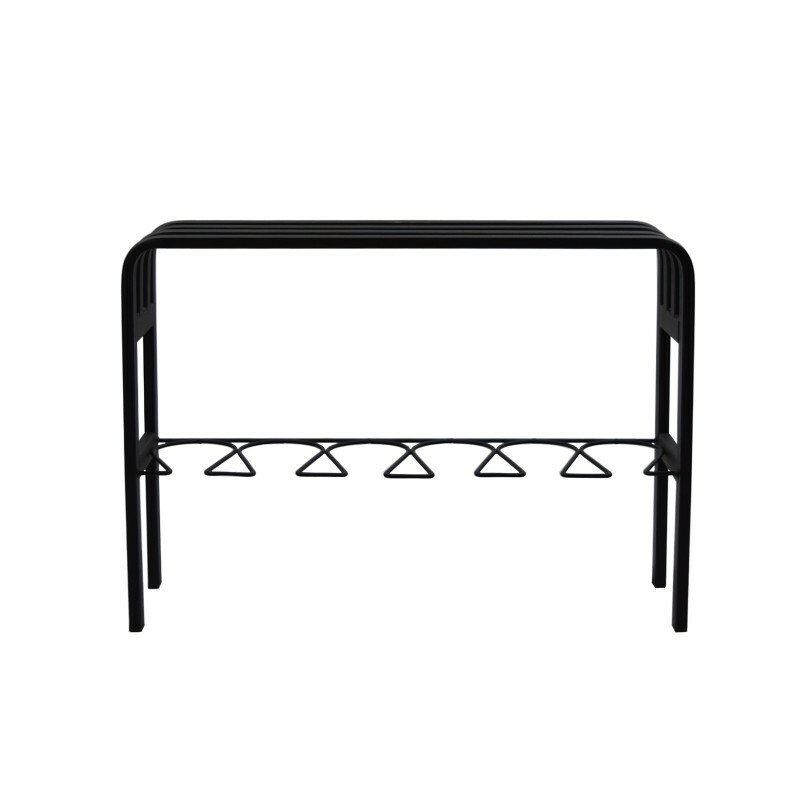 Black color (SKU: ST17049) is available.